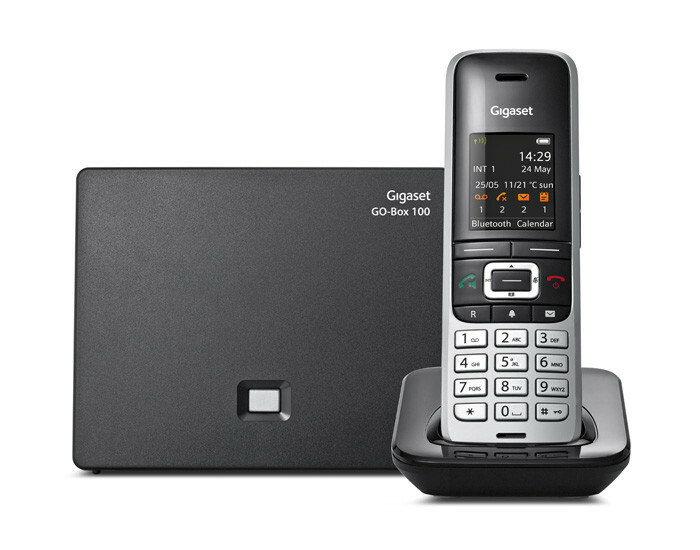 The Gigaset S850A GO is a technically well-thought-out premium telephone that allows you to enjoy sophisticated communication at home even more. The well-arranged menu and the large colour display make for particularly easy navigation. The generous phone book for up to 500 entries is easily synchronised with the Outlook contacts on your PC. Excellent sound quality is a matter of course for the Gigaset S850A GO: change between three audio profiles with a single click to perfectly adjust the acoustics of your conversation to your surrounding conditions. Simply clever. With the extra-large phone book of this phone, it’s really easy to manage your contacts: there is space for up to 500 entries with three numbers each – all of which can easily be synchronised via Bluetooth® or micro USB with Outlook on your PC. The picture clip function gives your phone book entries a personal touch: simply upload your contacts’ photos – and next time they call, your friends and family appear on the display. contact – good to know! Whenever you want, the Gigaset S850A GO suppresses the ringtone of anonymous calls and notifies you via an optical signal on the display. That way, you remain undisturbed. And should you miss a call, you’re immediately notified on the display and by the flashing message key. 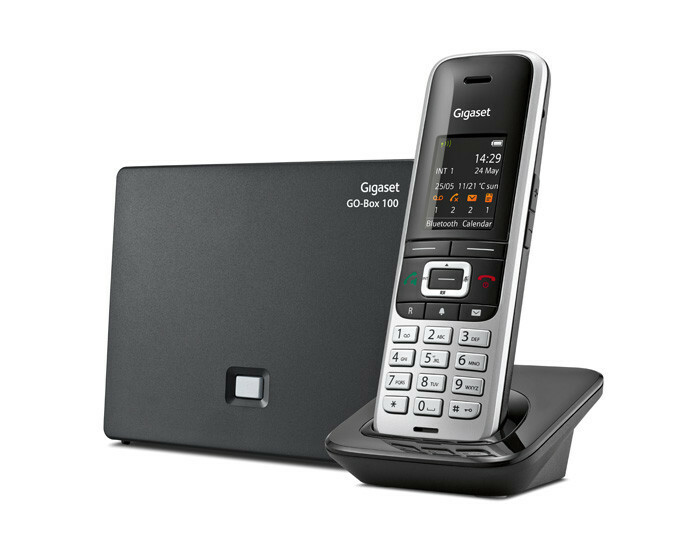 The Gigaset S850A GO wins you over with its excellent hands-free function in full-duplex quality. It is indispensable for a much more natural flow of conversation, e.g. during a telephone conference. Another bonus: the three audio profiles that easily let you adjust the acoustics of your conversation to your surroundings. 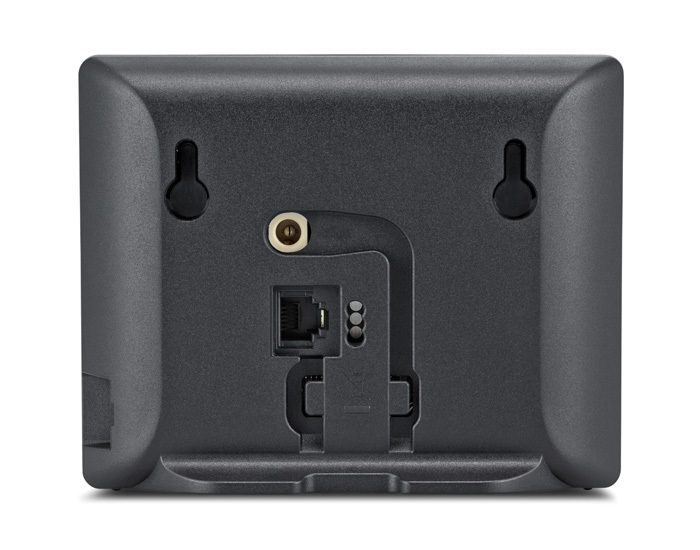 Thanks to the handy lateral keys on the handset, you can also adjust the volume at any time during a call. For seamlessly perfect conversations. 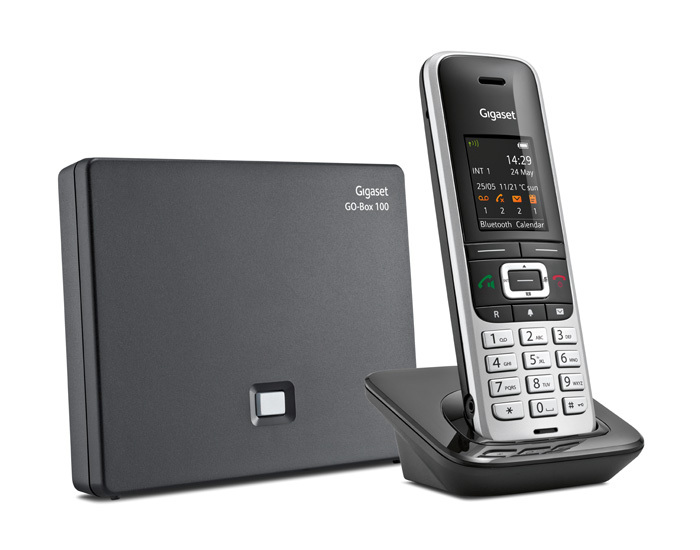 The new Gigaset S850A GO adjusts the transmitting power from the handset to the base station depending on the distance between them. 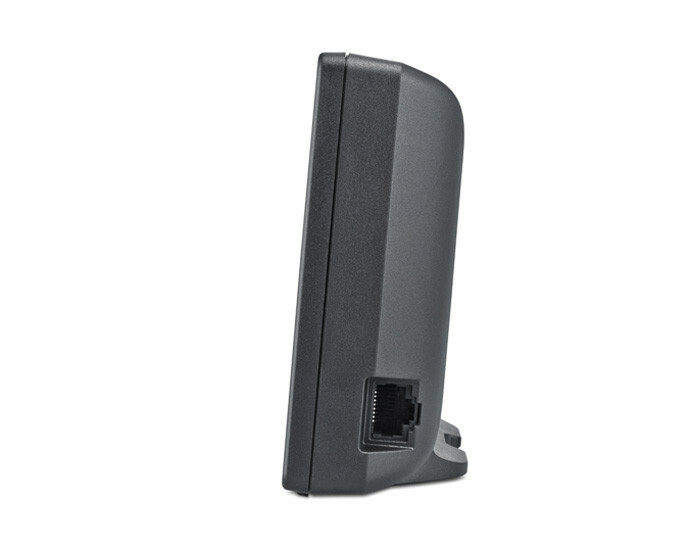 What you’re getting: energy-efficient telephony that’s good for the environment. The ECO Mode reduces the transmitting power by 80% while the ECO Mode Plus even turns the transmitting power off whenever the phone is on standby. Keeping your home free of unnecessary radiation can be as simple as that. Never miss another call! A total of three integrated answering machines take your messages – with up to 55 minutes of recording time and individual announcements for your landline and Internet numbers. Operation is done comfortably and intuitively via the handset. The landline system of the Gigaset S850A GO can be expanded by up to five additional handsets – making it the ideal choice for families or for the home office. This way, you can immediately answer every call no matter where you are – in the bedroom, the kitchen or the study. You can even make internal calls. Best of all: you can combine your base station with a variety of handsets – just as you like. Find out which phones are compatible with the Gigaset S850A GO here.